Sophos CEO Kris Hagerman has overseen a year of super growth, which he claims is due to a new Cloud management platform, a channel first distribution model and the stumbling of the big security players. 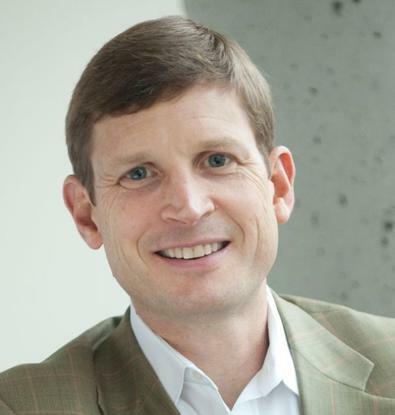 Hagerman has been Sophos’ global CEO since 2012. Prior to this he was CEO at Corel Corporation, and also group president, data center management at Symantec. He also worked for Veritas as its EVP and GM before the Symantec purchase, and has also held CEO positions Big Book and Affinia, and also worked at now-defunct Silicon Graphics. Hagerman took some time out from the company’s APAC conference in Hanoi, Vietnam, to discuss the company’s strong year in the channel, and why his company is winning when the incumbents seem to be struggling. What’s the feedback you’ve been getting from partners at your APAC Partner Conference? We’re way up year-on-year for each of these conferences. We’ve got a lot of good momentum. Many of our partners have been with us a very long time, but what we’re seeing is a huge influx of new partners. We had around 800 people at our conferences last year, this year it looking at well over 1100. A lot of the new ones are coming from some of the larger companies that are struggling, or just not performing as well as they used to; whether its Symantec going through its management changes, McAfee going through Intel-isation, or Sonicwall becoming a Dell subsidiary. A lot of these partners are looking for ways to grow their businesses and we have a great story. This conference has been about sharing our thanks to the partners around the world for a great year; this last year has been the greatest year in Sophos’ history. A big part of that has been the success of our partners, because we’re a 100 per cent channel focused company. If the channel wins, we win. If it doesn’t succeed and do well, then we struggle. But they had a great year, and as a result we had a great year. Overall Sophos is seeing 13 per cent year-on-year growth. So where has Sophos been making its big push? We have several exciting new product launches across the portfolio, including new offerings in mobile, UTM, encryption and a new Cloud offering. Sophos Cloud is the fastest growing product in our history. Our new encryption offering is industry leading. It allows enterprises to for the first time deliver cross platform encryption, across both Mac and Windows, all from the single management interface, which makes it much faster in terms of management and performance. But its not just product, there have also been a lot of advances across other parts of Sophos. Our visibility and awareness is up, our traffic to the website is way up, we changed our partner programs around to be much more, aggressive and much more clear that our entire sales organisation is going to be restructured on a regional basis, to support the Channel in region. So how are you differentiating Sophos in what is a very tough security market at the moment? The fundamental thing that differentiates us that we have this focus on what I call a complete security portfolio: we want to make security simple. The idea is to take the complex ideas in security and deliver them in a set of products, that are simple, easy to use and easy to deploy. That alone is quite different to our competitors: many of them focus on larger enterprise, who want complex dashboards and the ability to drill down into every detail. Our market is mid-market, SMBs and SMEs, and what we call ‘the pragmatic enterprise’. These kinds of enterprises don’t have an army of IT experts on their staff, they can’t afford them, they don’t want them and quite frankly they don’t want a bill for a set of third party IT experts either. Our entire company is driving toward that single focused goal: To be the best in the world at delivering complete IT security to small and mid-market enterprises, and the channel that serves them. That clear, focused mission is what none of our competitors have. This enables us to do things that our rivals can’t do. So explain some of these new products, and why you think they’re so revolutionary. We are the only vendor in the world that is building a single integrated cloud based management platform to drive our entire portfolio, Sophos Cloud. That is the fastest growing product in our history. It reached $1m dollars in billings in a few months, and is now growing at 30 per cent a month. It brings all the different security pieces together and integrates how they’re managed. You can see them all in one place, manage them all in one place, and you can even manage them remotely, without having to send someone out onsite to all your branches or locations. Another big project which we announced just this week, Project Galileo, is a real game changer. What it does, for the first time, is it uses our cloud based platform, not just to deliver UTM and endpoint, but it actually allows all those products to communicate with each other so you can deliver better security. For example, take an advanced zero-day threat that no one’s seen before. Say it makes it through all your different levels of protection from the end point, then it starts shooting off traffic, spreading the malware, that would be caught by the network device. Galileo can go back and look at that profile of the machine that is shooting off the traffic, and we can quarantine that machine using our endpoint, and force that machine off the network instantly. It’s a capability that none of the other players has. What about your channel strategy, how is that different to the big players? The strategy hasn’t changed too much from last year, in that we’re a partner first company. The only difference this year has been that we’ve announced a whole host of new dealer programs, and initiatives we’re taking in our own organisation to support that. That doesn’t sound to dissimilar to your rivals, why should a reseller choose Sophos over a Symantec, a McAfee or a Trend Micro? Firstly, we’re growing – any partner loves to be associated with a vendor that is growing. We’re doubling down and doubling down again on the channel as our only route to market. Those other companies have mixed models – some high end accounts might sell direct, or there’s some cut-off threshold where they work with the channel - that never happens with us, and the response from our partners say that is key. It is a particular problem at McAfee and Symantec right now, and it’s becoming a big problem at Sonicwall’s takeover by Dell. Dell is perhaps 70-75 per cent direct, and SonicWall used to be virtually 100 per cent channel. They’re still figuring it out. So you feel you’ve poached a few of these major vendors customers? We had a number of former Symantec partners at our conference and they’ve told us: ‘hey, you’re growing, I like this complete security solution, I like the simplicity of it, I love the SMB and midmarket focus… and the vendor I used to rely on to build my business has become more and more of a direct company.’ They’re seeing a lot of business that they would’ve gotten themselves in the past being diverted to direct, where they don’t get any compensation for it. We’ve seen that response across several vendors, Symantec, McAfee, TrendMicro and the rest. You’ve mentioned your former employer Symantec a fair bit - what do you think they’re doing wrong? I think Symantec is a mess right now. Part of it is because they’re onto their third CEO in three years, so that is never easy. But, more importantly, Symantec, at a strategic level, just can’t decide on what they’re going to be the best in the world at. Are they a consumer focused company that sells in retail? Are they a storage and server infrastructure company through Veritas, that focuses on selling to the global 2000? Or are they a diversified enterprise security company that sells some 200 overlapping products, of different flavours, to everybody from a 10 person organisation to HSBC and Citigroup? It's just a terribly confused place at the moment. We are definitely seeing interest from their Channel partners. And we are growing our endpoint business – quite attractively, way above the market, and way, way, above what Symantec is doing. They’re shrinking quite dramatically at the endpoint, and we’re growing. Given that trend, and that Symantec, McAfee and Trend Micro account for 60 per cent of the market, and we’re growing dramatically, I’d say it’s coming from them. So how do you estimate your market share in the current market? In the UTM market, which is a $US1.5bn market that’s growing 10-20 per cent a year, we’ve probably around the 5-10 per cent range. In endpoint 5-10 per cent, mobile 2-5 per cent and in encryption, we’re probably around 10-15 per cent. In every single one of those markets, we are outpacing the market rate of growth, and that’s something our rivals can’t claim.